From Aisle to ‘I do’ – Great wedding ceremony decoration ideas for instant wow factor. It’s the most important and special moment of your day – the wedding ceremony. That breath-taking moment when you walk down the aisle to marry the person of your dreams! But how do you make first impressions that last? Here are some great wedding ceremony decoration ideas for instant wow factor. If you are getting married in the summer, there is nothing more beautiful than marrying outside in the middle of nature! Many venues now have an area outside where you can legally marry so long as you are wed under a fixed structure. Soft whites and mixed textures work perfectly against beautiful natural greenery. If the ceremony is on the grass a lovely ivory aisle with petals adds to the perfect setting. 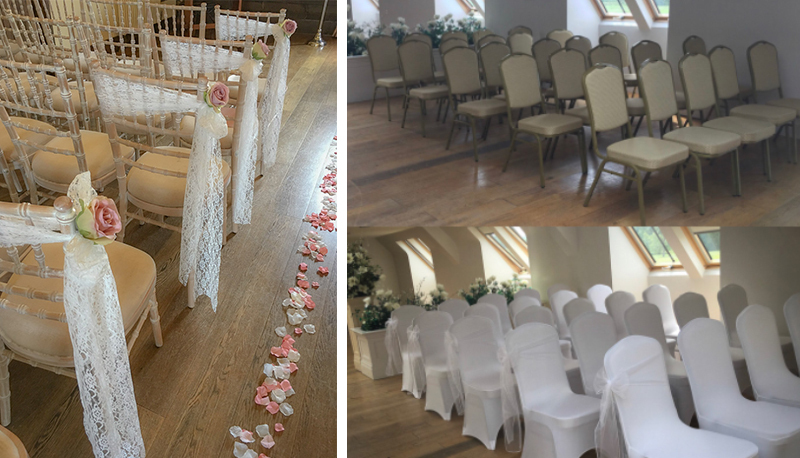 Chiffon chair drapes with lots of lace works perfectly for a vintage country garden wedding. 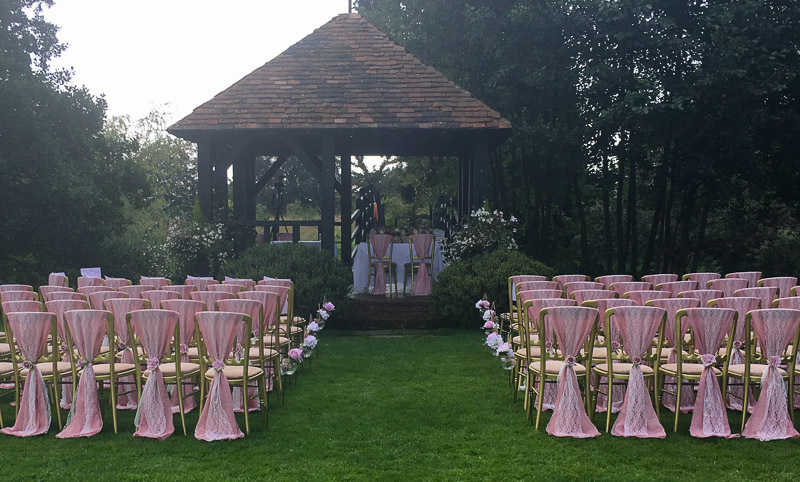 Shepherd’s Hooks are great if the wedding ceremony is on grass as they can be placed straight into the soft ground to hang filled vases of flowers or candles. Do: check with your venue if scatter petals are allowed and if they must be real rather than silk. Don’t: Worry about the weather! Have a back-up plan in place should the weather take a bad turn, agree it in advance with the venue and let your venue dresser know. Many venues have gorgeous little rooms or areas that can hold your guests for the ceremony. These are normally without limits to how you can have it dressed to tie into your theme and colour scheme. 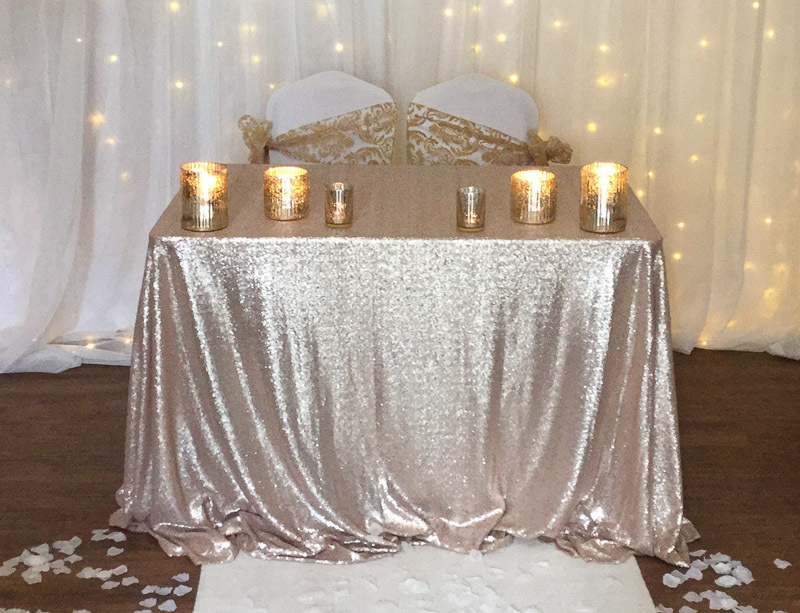 It’s a good idea to have your celebrant table decorated – it’s definitely going to feature in the photography with some of your first moments as a married couple. A full drop textured tablecloth. Sequin tablecloths give added shine and glamour, or you could opt for a beautiful ivory rosette cloth. Finish the table with a mixture of candles and make space for your bouquet to take pride of place in the centre. 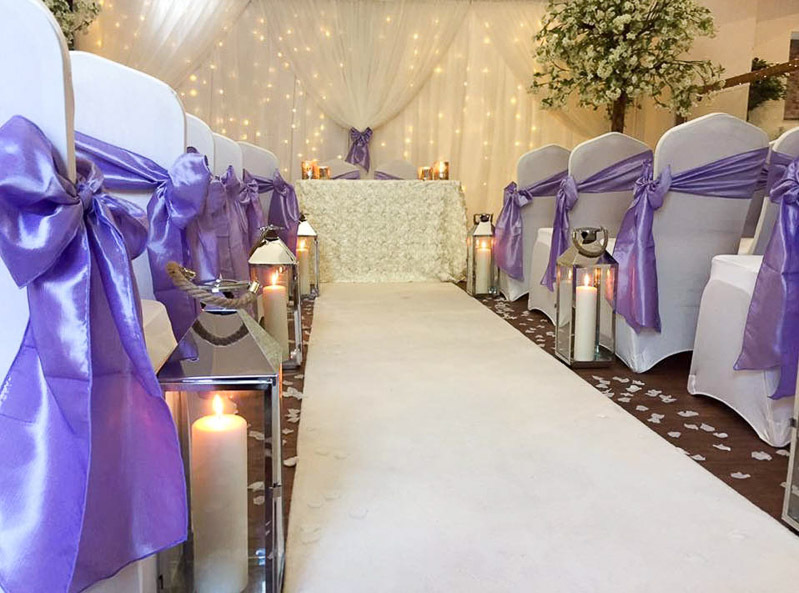 If you are having a floral display on the top table, ask your stylist/florist to put it in the ceremony room first and it can be moved onto the top table after the ceremony. We love a bit of chair décor. And the ceremony is no different. On a budget? 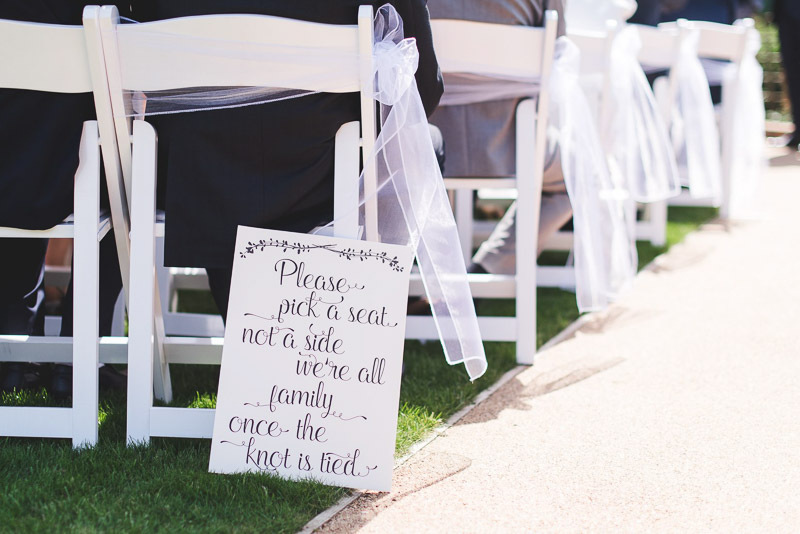 Perhaps just frame the aisle with side sashes on the chairs directly either side of the aisle. If the chairs do not suit the room or the décor style be sure to have them covered. Even the simplest changes can really transform a room. Do: Check with your venue if real candles are allowed inside your ceremony room. They may have to be enclosed or led flames. A good venue dresser will have lovely led versions available if you cannot have the real thing. Don’t: Forget yourselves when it comes to counting and covering ceremony chairs! Yes, it’s likely you will be standing when saying your vows. But you will probably want to be seated when signing the register. It is also worthwhile to check if you will need chairs for any officiants present and therefore will need them covered. Many churches are beautiful venues, full of history and beauty. 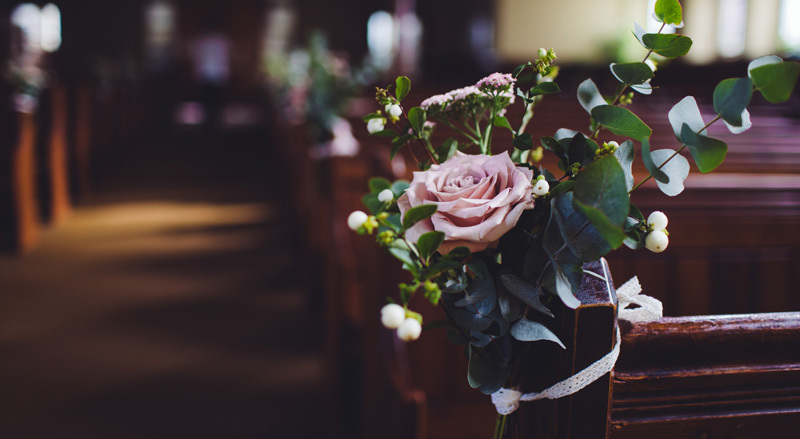 Add subtle décor such as flowers on pew ends and at the end of the aisle. Choose flowers that can be easily transferred to your reception venue so that you can enjoy them for the whole day! 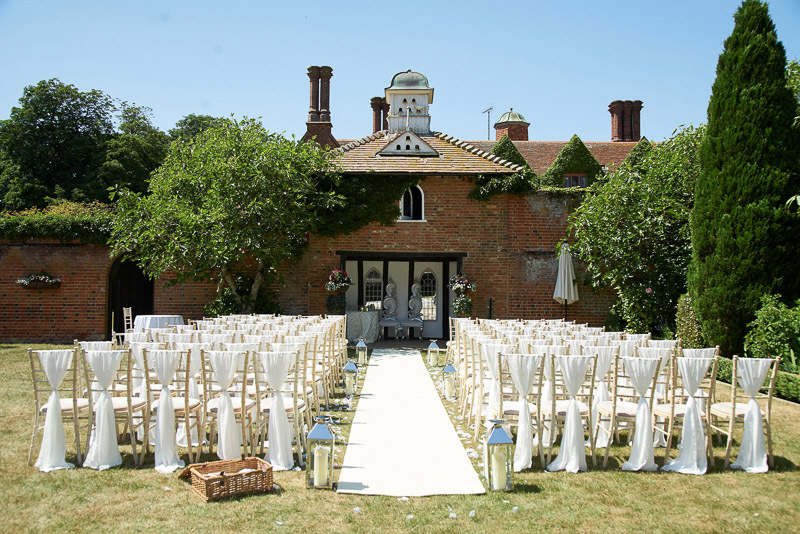 Featured wedding venues: The White Hart Great Yeldham, Woodhall Manor, Prested Hall, The Rayleigh Club.